This week, millions of Tunisians lined up at polling stations to vote in their country's first ever open, democratic elections. In his latest column, Kateb Salim considers the significance of the occasion and what lies ahead for the country and the region. As the sun sets on the prolonged reign of Libya’s Gaddafi, its neighbour Tunisia witnessed a historic turnout for the country’s first democratic election since independence. For Tunisians, the 23 of October will be a day to celebrate for many years to come. Outside poll stations, they proudly brandished their blue fingers (covered in ink to show they had just voted) to local and international press reporters, explaining to whoever would listen who they voted for and why. Tunisians had indeed waited for the right to vote in free elections for decades. Habib Bourghiba and Zine el Abidine Ben Ali had only offered them elections that were democratic only in appearance. It therefore came as no surprise to most observers that voters turned out massively (90% participation) for this opportunity to partake in their nation’s historic political awakening. And yet, even as the emotions of the first democratic vote began to dim, they were quickly cast aside for ‘hard’ politics to take center stage. 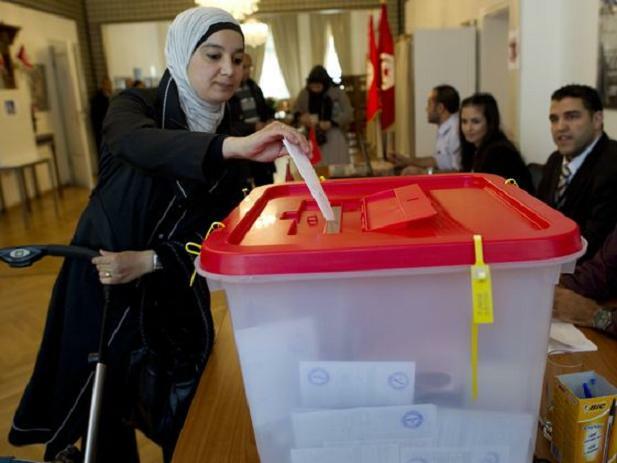 The first results coming out of the country indicated that Ennahda, the country’s main Islamic party, had swept over 38% of the seats in the new assembly. Rached El Ghanouchi’s party now finds itself in a strong position to govern but will have to do so considering several important factors. Firstly, Ennahda must now begin talks with other parties to help form a majority able to adequately govern Tunisia. More importantly, it will have to do so with political formations that present very dissimilar ideologies to its own. The outcomes and the tone of this dialogue are vital to the future of democracy in Tunisia. Moreover, it is vital that these formations, with diametrically opposed projects, come together to write a suitable constitution in accordance with and safeguarding the revolution’s guiding principles. The first of these was an unfaltering rejection of any and all forms of dictatorship. The democracy that Tunisians fought for must not become a tool for any political formation or personality to return to the ways of Ben Ali. The election was hailed as free and transparent by all international observers and the legitimacy of Ennahda’s electoral landslide cannot be credibly put into question. The party showed better organisation, mobilisation and far greater resonance with voters’ concerns then most other parties. Although many of my Tunisian friends and contemporaries, educated abroad and liberal for the most part, might disagree, the reality is that Tunisian society (like most other Arab societies) at its heart remains weary of overly-liberal agendas and finds comfort in the modern approach to conservatism as set forth by parties such as Ennahda. More importantly, activists of those centre-left parties (secularlist parties such as Ettakatol) should not feel alarmed or defeated in the face of these new realities. Rather they will be expected to keep Ennahda’s powers in check, help it govern when needed and continue to provide Tunisians with alternative societal projects for such is the essence of a democracy. Tunisia might well indeed flourish into a Turkish-style democracy, with moderate Islamists ruling through pragmatic policies, and this would be an outstanding leap forward for the entire region. The sheer symbolism of a genuine democracy neighbouring authoritarian regimes might do much more to shake the fundamentals of their societies than the bloody coups and revolutions we see elsewhere . One thing this election has undoubtedly succeeded in doing is making sure those members of the previous regime are unable to return to power; something Egyptians and Libyans are less certain of. This in itself is a tremendous victory. Politics in the Arab world had long been presented as a simplified dichotomy and choice between despotic military-backed regimes or underground Islamic movements. Arabs and indeed Europeans were coerced into thinking that it was the stability and supposed security of one which protected from the extremes of the other. Though Islamic parties such as the Muslim Brotherhood or Hamas were hugely popular, foreign powers and local elites flocked to local tyrants to prevent their rise to power. The Arab spring, like 9/11 had done for American foreign policy, has brought about something of a paradigm shift. It has highlighted a profound unease within the youth of these countries with harsh economic realities, and their need to go beyond having to choose between two sides of the same coin. Tunisia’s election is taking the paradigms of old and remoulding them in ways that questions our very notions and understanding of our societal/ ideological cleavages. As the first truely-revolutionary light in a region long-blanketed by a shadow of oppression, Tunisia might yet again guide the Maghreb towards real democracy: the real revolution starts now. Kateb Salim is a writer and commentator on the Maghreb. As an Algerian woman ,I sincerly hope that this democtratic election is a genuine one that will bring freedom and prosperity to all tunisians and send a message of hope to all young people in the arab world. I also hope that as mentioned in the article that Tunisia will flourish like Turkey and Tunisians won’t be forced to face a new dictatorship after decades of Ben Ali despotic regime. Let’s wait and see ans as righly said in the conclusion the real revolution starts now.